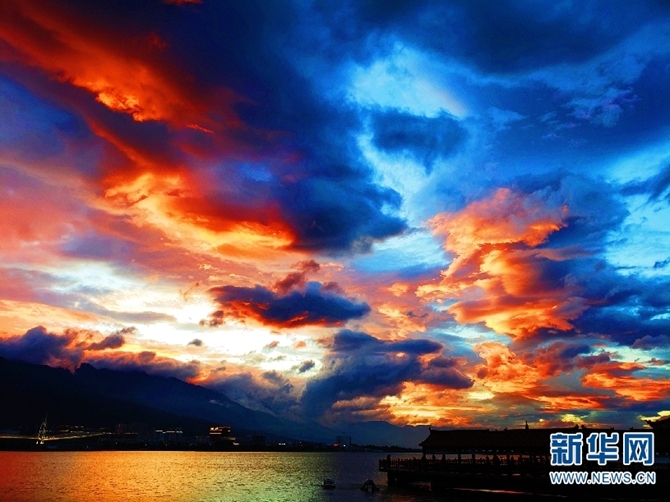 At dusk on May 28, gorgeous clouds and sunset glow appeared in west Yunnan’s Dali Bai Autonomous Prefecture. Golden and dark blue clouds mixed into a hue, like a light that shone down to us from a different realm of existence. Soon, beautiful pictures showing the clouds and sunset went viral on WeChat, a Facebook-like Chinese social media network. Many Chinese netizens posted online comments, to the effect they really want to visit Yunnan for the sight of clouds.